There are many ways to measure tradeshow ROI (Return on Investment) and ROO (Return on Objectives). Let’s count a few of the important ones. Web traffic. 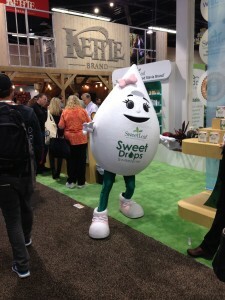 You might not think web traffic relates to tradeshow success, but trust me, it does. 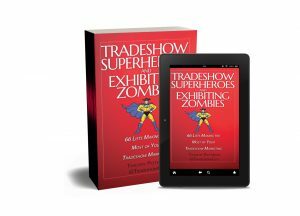 Knowing how your traffic ebbs and flows before and after tradeshows is one indicator that is worth noting in your overall information gathering. Social Media Reach. Compare before and after numbers of social media likes and followers. Your level of engagement, or reach, during a show, can show a spike in engagement on your most-used social media platforms. Booth Visitors. Count the attendees in your booth. Yeah, it’s a pain to do, but if you can manage to at least get a rough count of visitors to your booth each show, you can compare from year to year and show to show. Show Buzz. Do you have visitors that showed up at your booth because there was some show talk that drew them there? If you have an indication of that, try to find out if they were interested in your booth or products or both. Networking. How many industry colleagues did you and your team connect with during the show? How were those conversations? Could you consider many of them fruitful, leading to future steps? Sales. How many dollars were generated as a direct result of leads generated at the show. To determine your ROI, take the total revenue generated, subtract the investment in the show and you have your raw number. To get the percentage, divide your original investment into the net income. To figure out your Return on Objective, identify your objectives prior to the show. You may have non-financial event goals such as customer meetings, samples given away, press coverage, branding, name recognition improvement, collecting emails, enhancing client relations and so on. Then make notes by observing and documenting as much related information as you can. ROO looks at items that do not directly translate to immediate sales or sales opportunities. Did the booth size work, or was it too small or too large for your purposes? Did your signage convey the right messages? Was your pre-show promotion effective? Were there enough visitors throughout the show to keep your staff busy? Were they overwhelmed? No matter your overall approach to tradeshow marketing, the more information you are able to gather relating to your ROI and your ROO will make you a better marketer.